We are a leading Manufacturer of blue corrugated plastic pallet, bottom plastic pallet, corrugated plastic pallet and plastic pallet tray from Delhi, India. 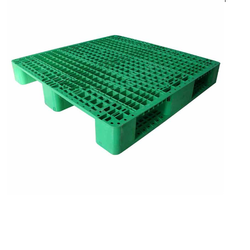 We are actively engaged in offering an excellent range of Bottom Plastic Pallet. The offered pallet is manufactured by using premium quality plastic and innovative technology in line with industry norms. 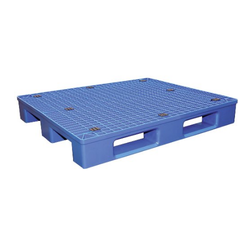 Our provided pallet is highly acclaimed for its fine finish, light weight and durability. This pallet is available in variegated sizes and designs so as to cater the demands of our clients. Backed by state-of-the-art manufacturing processes, manned by the team of experienced professionals, we are engaged in offering a wide range of Corrugated Plastic Pallet. The offered pallet is manufactured using quality proven raw material and innovative technology in sync with industry norms. Due to its superior quality, this pallet is widely praised by the clients. The offered pallet is used for storing spare parts and assembly lines. Static Load 4 Tonn Approx. 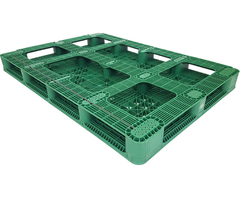 Keeping the diverse requirements of customers in mind, we are instrumental in providing Plastic Pallet Tray.